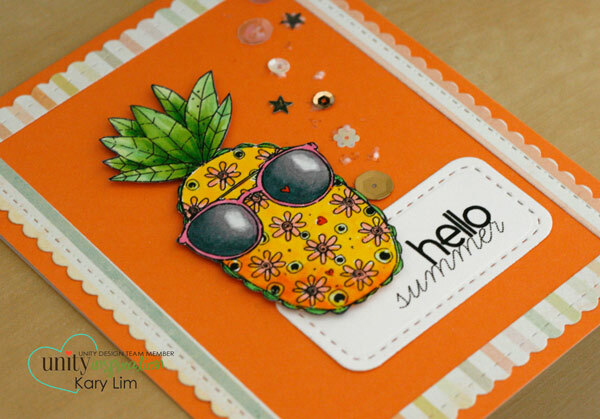 Unity Stamp Company: New SOTW - Hello Summer! New SOTW - Hello Summer! Hello! 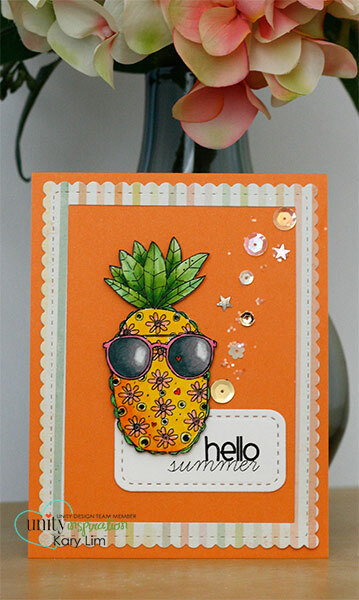 We have a new super cute Stamp of the Week - Summer Citrus by Angie Blom!! I LOVE pineapples and this guy is so adorable with the cute sunglasses. Stamp of the Week is an Exclusive Weekly Unity Subscription - for just $5.79 per week (this includes shipping!) and $7.79 (international) this stamp set is delivered to your door. As a SOTW member, you will also get to purchase past SOTW sets at a special price which is not available to non-members. Read all about SOTW here. First, here is an awesome card from Angie!